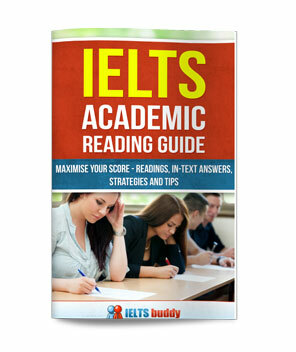 Objective: IELTS reading multiple choice and skimming and scanning practice. You won't have time in the reading test to carefully read the whole passage all of the way through, so you need to find the answers in the text quickly. This lesson shows you how skimming and scanning can help with this. Before you start any reading pasage, you should firstly take a look at the question stems to get an idea of what you may need to look out for. So now look at the IELTS reading multiple choice questions below this reading. If you look at the question stems, you will see that names are often mentioned e.g.James Alan Fox, John J. DiIulio, Michael Tonry. So this immediately tells you it is a good idea to underline 'names' as you read the text. You will then be able to quickly scan the text later to find where the answers are. Looking at the question stems first also gives you an idea of what the reading is about. As you read the text, you should get into the habit of highlighting words that you think may be important and will help you find answers later. These are often nouns like names, dates, numbers or any other key words that stand out as a key topic of that paragraph. 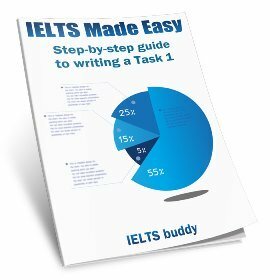 Looking at the IELTS reading multiple choice questions quickly first may help with this. This type of question follows the order of the text. So when you have found one answer, you know that the next one will be below, and probably not too far away. When you start looking at the questions, you should underline key words in the question stem to help you find the answers in the text. Look at the IELTS reading multiple choice questions again - as you will see, key words have been highlighted. 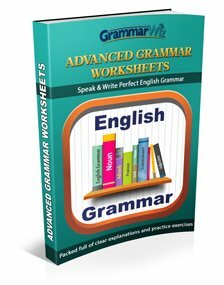 You can use these to help you scan the text to find the answers more quickly. When you read the text for the first time, you should focus on the topic sentences, and skim the rest of the paragraph. But once you start answering the IELTS reading multiple choice questions and you have found where the answer is, you will need to read the text carefully in order to identify the correct choice. Tip: Do not think that just because you have found some words in the multiple choices (a, b or c) that match the words in the text that this must be the right answer. It's usually not that simple so you must read the section where you think the answer is carefully. (a) make us complacent in the fight against crime. (b) result in an increase in teenage violence. (c) result in a decrease in teenage violence. (a) is doing everything it can to solve the problem. (b) is not interested in solving the problem. (c) is not doing enough to solve the problem. (a) there is no solution to the problem. (b) employment and education are not the answer. (c) employment and education can improve the situation. (c) is irrelevant to crime rates. 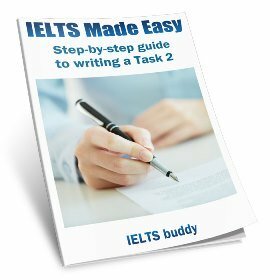 This part discusses the IELTS reading multiple choice answers. The part in italics is the section from the reading which has the answer. 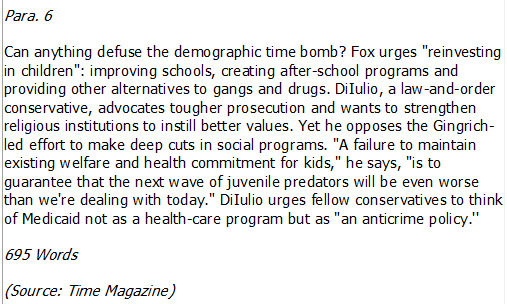 'Children' are not commiting more crime so (a) is not correct. You may have been tempted to tick (b) because the reading mentions " impulsive and immature", but this is in reference to when they will be teenagers later in life, not the children. 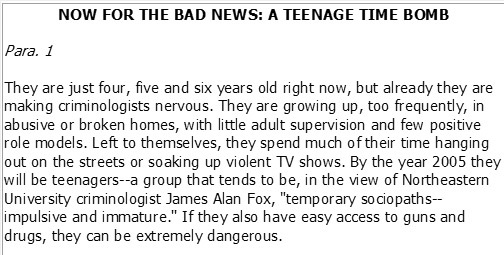 (c) is correct because, as per the quote above, the concern is that when they become teenagers (grown up) they will commit these crimes. This tells us the 14-17 age group replaced ('supplanted') 18-24-year-olds as the most likely ('prone') to commit crime, so the answer for this IELTS reading multiple choice question is (a). 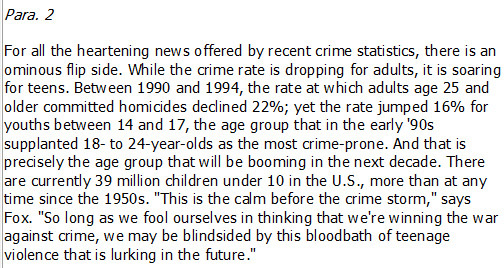 Here James is saying that because general crime figures are falling, we may not notice what is going to happen in the future with teenage crime, so the IELTS reading multiple choice answer is (a). 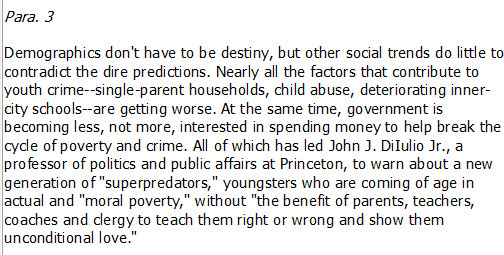 It is not logical that falling crime rates could increase or decrease teenage crime (there is no connection) so it can't be (b) or (c). You have to be careful with this one. Like the IELTS reading multiple choice question 1 you may be tempted to pick (b) because it mentions 'the government' and has the words 'less interested' which matches the question. But is says the government is 'less interested in spending money'. You cannot assume (guess) from this that the government is 'not interested in solving the problem'. It may just want to commit more money elsewhere, but this does not mean it has no interest in solving the issue. So the answer is in fact (c) - the government is not doing enough. 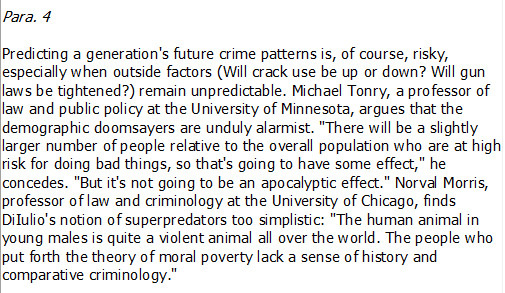 Here Michael is saying that those who are concerned about the problem (like James) are worrying too much ("unduly alarmist") and there will not be the terrible consequences ("apocalyptic") like they claim. So he is obviously less pessimistic and the answer is (b). In this paragraph, Jonathan makes lots of negative points and finishes by saying jobs are not being created and education not improved. He is therefore citing these as a cause of the problems he mentioned. It thus follows that changing this would improve the situation, so the answer is (c). If you don't 'maintain' something, then you don't keep it working as it is. So he is saying that if spending on welfare and health (social programs) is not kept as it is, things will get worse. So the IELTS reading multiple choice answer is (a).